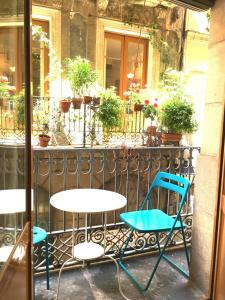 This pleasant guest house is set behind La Boqueria Market, 100 metres from Las Ramblas. It offers bright rooms, a free Wi-Fi zone and 24-hour reception. La Palmera’s air-conditioned rooms feature smart decor and laminate floors. 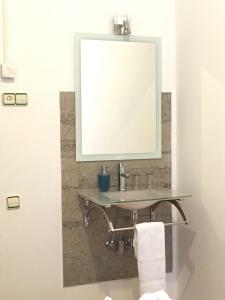 All have a sink and bathrooms are shared or private. Sheets and towels are included. The guest house offers coffee, tea and cold drinks for sale at reception. 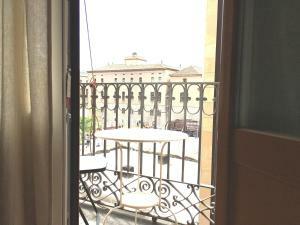 There are numerous bars, restaurants and shops within 2 minutes’ walk and Plaza Real Square is 300 metres away. 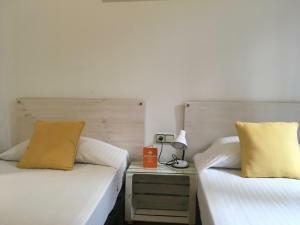 Hostal la Palmera is 5 minutes’ walk from Barcelona Cathedral in the Gothic Quarter, while Gaudi’s La Pedrera and Casa Batlló are 20 minutes’ walk away. This bright, elegant, air-conditioned room features a balcony and laminate floors. It includes a private bathroom, sheets and towels. There are 2 single beds which can be joined together. Rate: € 60.82 ... € 61.50; select dates below to get current rates. This bright, elegant, air-conditioned room features a balcony, laminate floors. 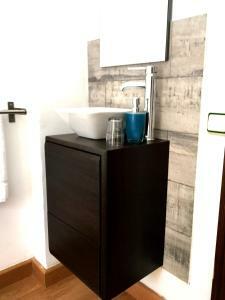 It includes a sink, sheets and towels, while the bathroom is shared. There are 2 single beds which can be joined together. Rate: € 47.33 ... € 62.33; select dates below to get current rates. This bright, air-conditioned rooms features a balcony, smart decor and laminate floors. It includes a sink, sheets and towels, while the bathroom is shared. Rate: € 32.00 ... € 69.00; select dates below to get current rates. 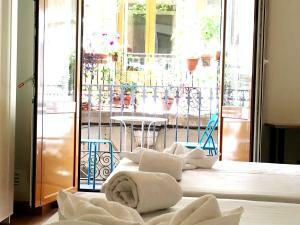 This bright room comes with 2 single beds and either a Juliette balcony or a balcony. 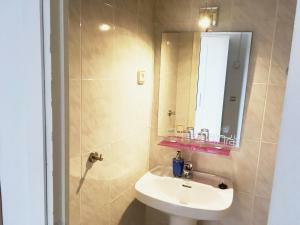 Rooms have a shared bathroom but a private shower and a sink inside the room. Bed linen and towels are provided. 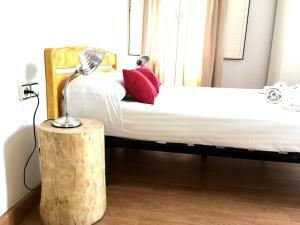 This bright, air-conditioned room features a balcony, smart decor, laminate floors and a double bed. It includes a private bathroom, sheets and towels. Rate: € 61.22 ... € 61.86; select dates below to get current rates. 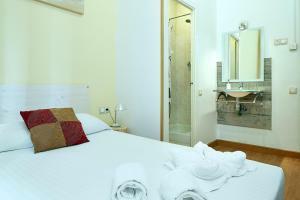 This bright room comes with 1 double bed and either a Juliette balcony or a balcony. 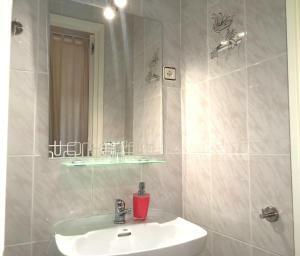 Rooms have a shared bathroom but a private shower and a sink inside the room. Towels and bed linen are provided.